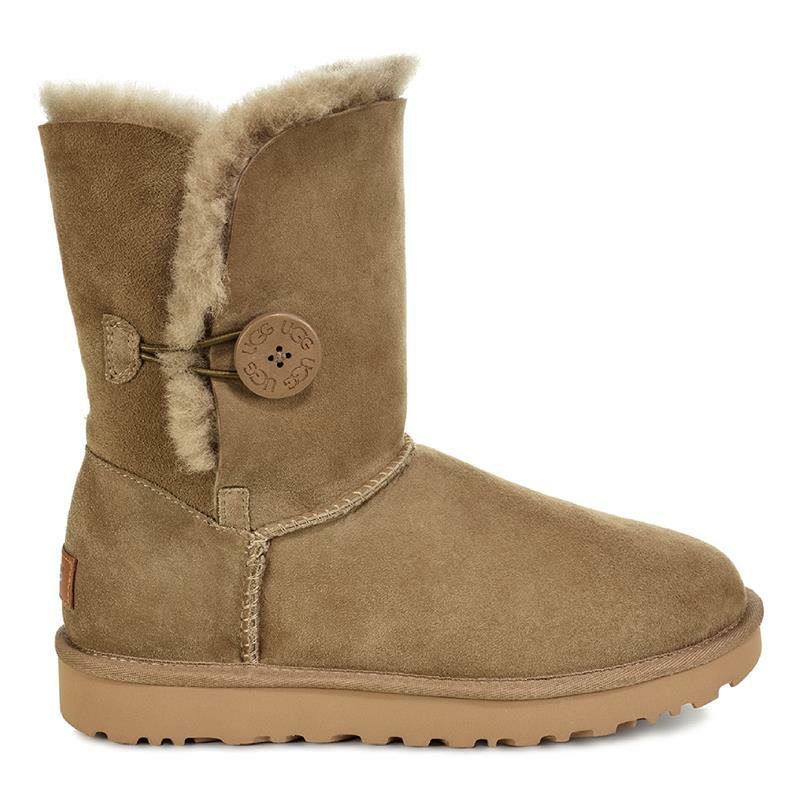 UGG® added a wood button to your little one's favorite boot, but kept the super-soft sheepskin feel they love. Built to move the way kids do, each boot features a rocker-bottom shape for a barefoot feel and our super-lightweight outsole for traction and durability. Plus, it's pretreated to protect against water and staining for all the dirt, puddles, and ketchup out there. 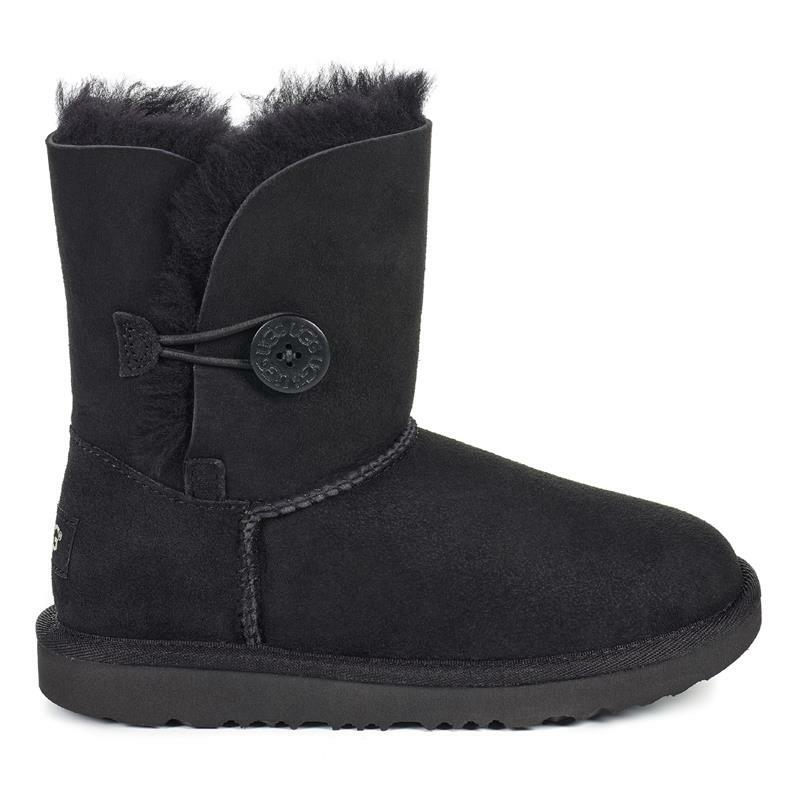 | By UGG® | RN #88276 | Imported | This product contains real fur from sheep or lamb. Fur may be sourced from Australia, Ireland, the United Kingdom, or the United States. It has beenUGG® added a wood button to your little one's favorite boot, but kept the super-soft sheepskin feel they love. Built to move the way kids do, each boot features a rocker-bottom shape for a barefoot feel and our super-lightweight outsole for traction and durability. Plus, it's pretreated to protect against water and staining for all the dirt, puddles, and ketchup out there. artificially dyed and treated. Made in China.